Thanks to our friends at Sony Music Entertainment Singapore, Popspoken managed to score an exclusive interview with rising star and chart-climber, Rachel Platten. We got her to answer questions about the talk of the town, Taylor Swift, what new music we can expect from her and got down to what “Fight Song”, her major debut track, really means to her. The track has reached #13 on the Billboard Hot 100 and #1 on the Billboard digital singles chart! Even though Platten has hit the charts at a conventionally later age than we would expect, she has proven herself with the success of “Fight Song”. Fingers crossed that her debut album – to be released under Columbia Records – delivers other great tracks. In the meantime, take a look at the full interview we had with Platten below! What pushed you to start your music career? “I had been feeling the urge to create for a while, but kind of ignoring it because it felt too difficult and scary. Though I played classical piano since age 5 and sang in a cappella groups, being an artist didn’t seem like something I was talented enough to do full time. So I kind of buried that dream. Finally, in college, that voice became too loud too ignore, too pressing and too urgent to keep hidden anymore. What’s next for you in the next couple of months, or even for 2016? I’m releasing an album soon and a new single in a couple weeks. I’m SO EXCITED for you guys to hear new music. What does “Fight Song” mean to you personally? I wrote it as a declaration to not give up on myself, no matter how hard things seemed. I had been trying to make this career happen for quite a while and there didn’t seem like there was a lot of reason to keep going on the outside. I’d faced a lot of rejection from labels and the industry and it was getting hard to keep believing in myself. But something wouldn’t let me – inside – I had this voice that was relentlessly hopeful, and honestly, I just loved performing and writing too much to ever really quit. So, “Fight Song” came along when I needed to make that decision once and for all – I would never give up on my dream. What was it like being invited by Taylor to sing with her in Philly and how amazing was the experience? What kind of impact did it have for you and what is Taylor like? Very amazing! :) Taylor is as kind, warm and inspiring as she seems and maybe more so. It had a big impact! Although “Fight Song” was already in the top 7 on itunes, it kind of provided the tipping point, like, this has reached a critical mass. It was really quite incredible!! What would you like to tell your fans and other people who may not listen to a lot of your music as of now? I’m so grateful that anyone has connected with my songs, let alone millions of people. It is just amazing to me. Six months ago I was in a van about to play to 20 people and now I get to perform to thousands every night. It just makes the world feel magical, and is such a beautiful example of how much hard work and belief in your dreams can actually pay off. I hope more people get to discover THAT more than anything, first hand. 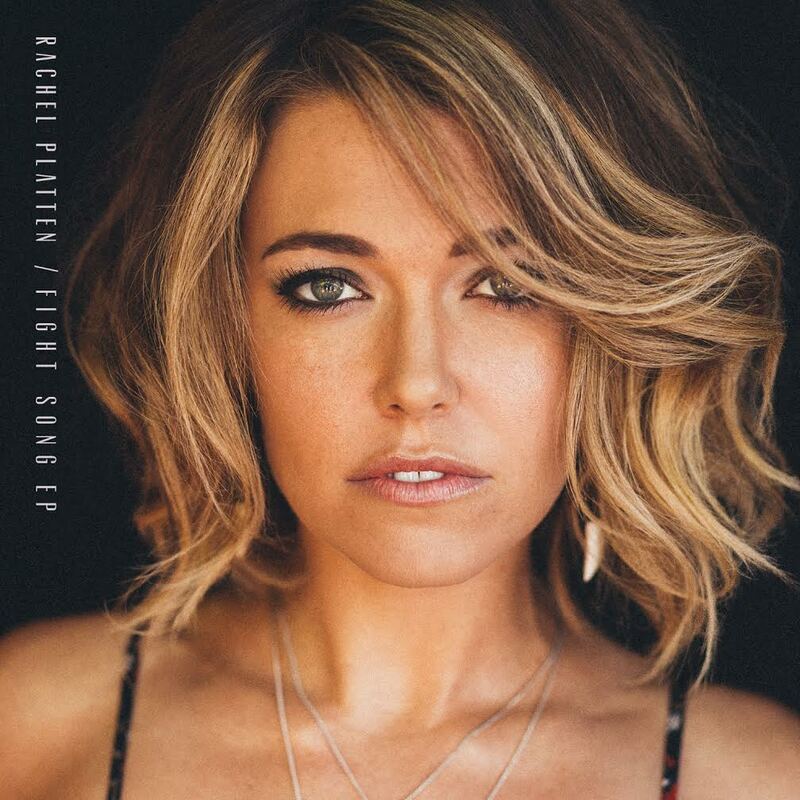 From the looks of it, we can expect a new single from Rachel Platten any time now. Remember to keep your eyes (or your ears) out for it!